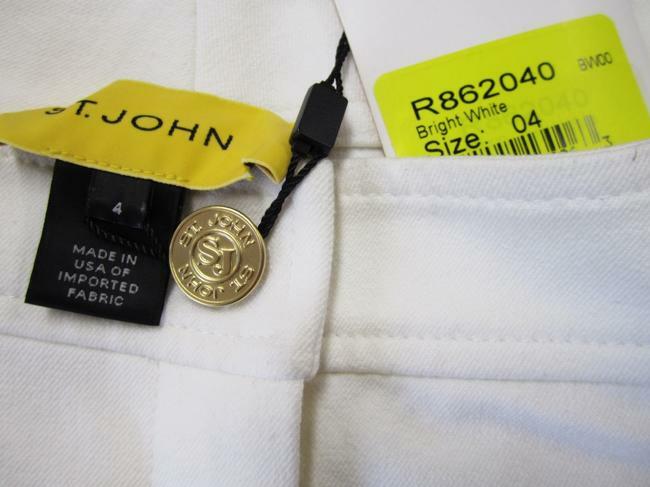 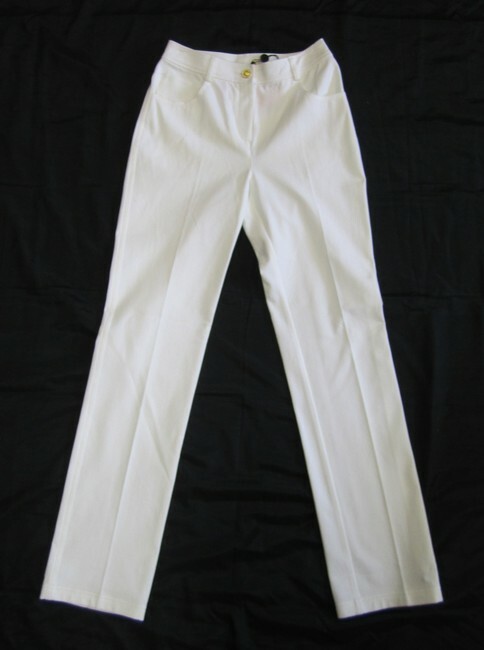 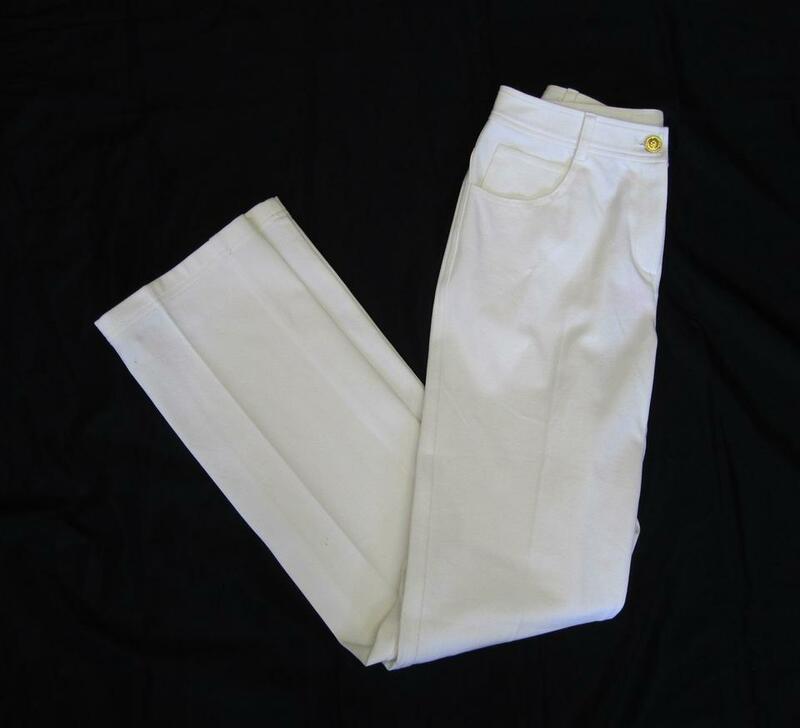 These St John Yellow Label 'Marie' Twill Pants Size 4 are a must-have! 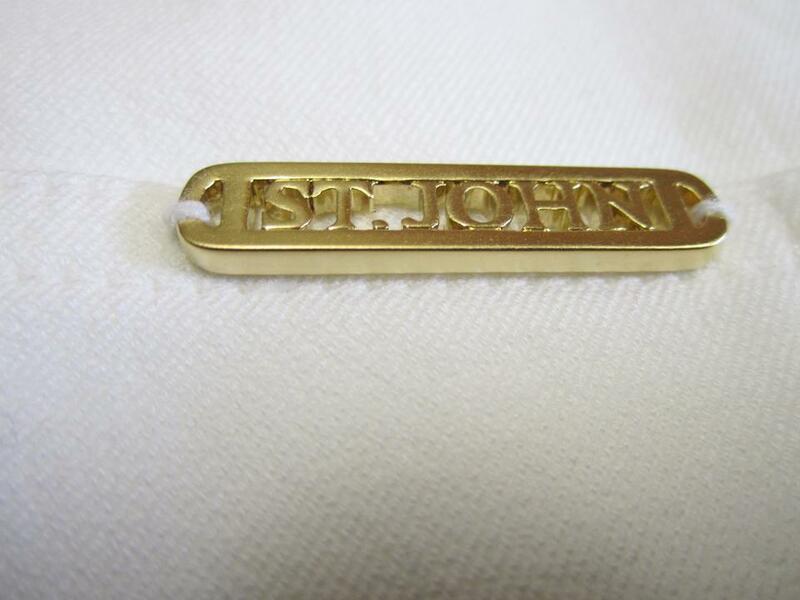 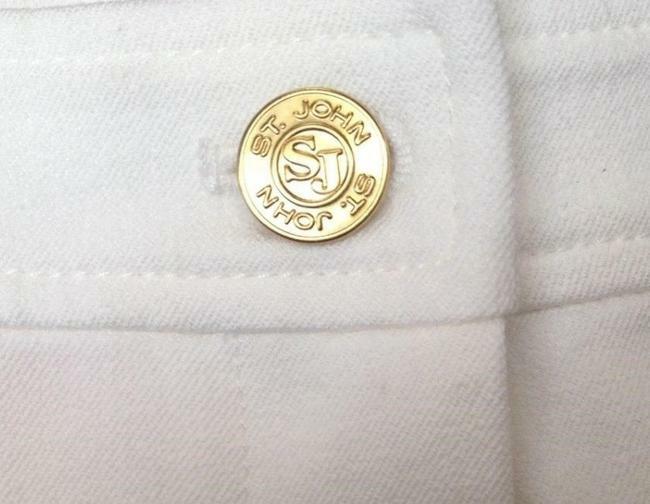 A gold-tone logo plaque discreetly details one of the back pockets on these versatile straight-leg pants. 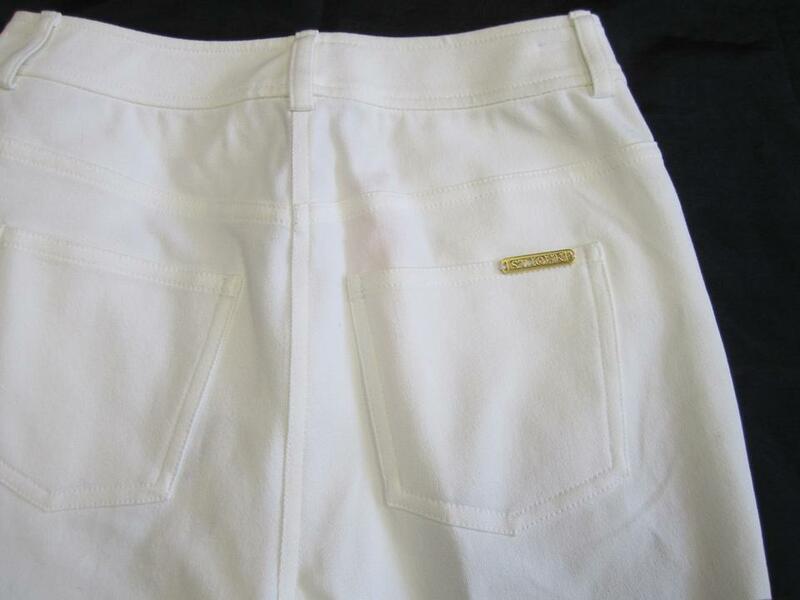 It features 5 pockets and 5 belt loops, and a zip fly with gold button closure. 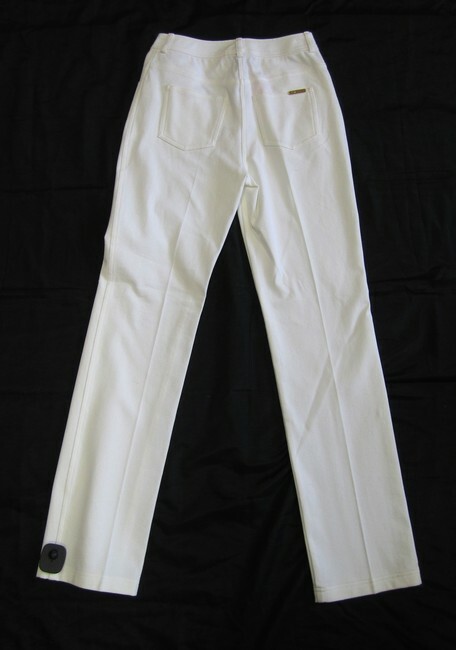 These pants retail for $390.